Samsung’s first Galaxy Unpacked event for 2019 is only a couple of months away now and the leaks continue to trickle out. The latest is a case maker’s render obtained by serial Twitter-based leakster Ice Universe that shows what it expects the Galaxy S10 Lite to look like. Based on the information that has leaked out about the device so far, we have no reason to doubt its general accuracy. 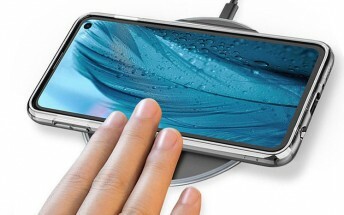 The good news for Samsung fans who prefer flat screened smartphones more along the lines of the Apple iPhone X/s line, the Galaxy S10 Lite looks like it won’t feature a curved AMOLED display. While curved displays have a certain coolness factor, they aren’t necessarily the most comfortable to hold in the hand as the edge of the device becomes thinner and a little sharper in the hand. (That said, adding a case can overcome this to some extent). A flat screen device, as pictured however, with full rounded sides should be a lot more comfortable to hold. If you can cope with a little less processing power under the hood, the Galaxy S10 Lite could be worth a serious look. It will ship with Android 9 Pie on board which is currently rolling out to both the Galaxy S9 line and the Galaxy Note 9. Not only that, but it will also feature Samsung’s all-new One UI interface that offers a super clean and slick looking user experience.